We do not recommend cross tying horses who pull back. 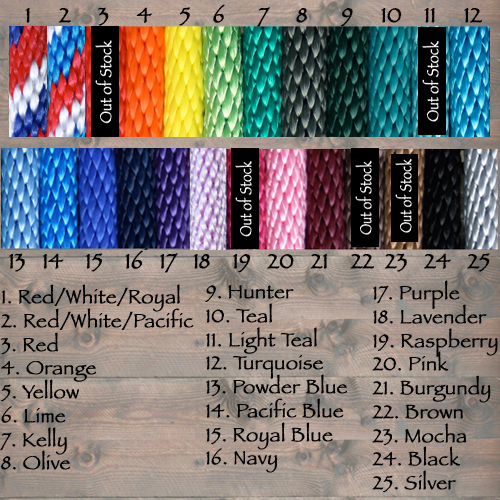 Made from the highest quality, American made derby rope, and available in a large assortment of colors shown above. 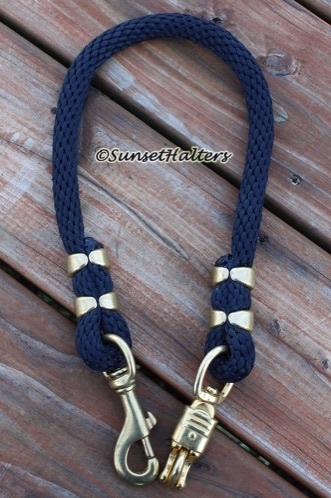 Each trailer tie comes complete with a brass panic and swivel snap, and matching heavy duty brass rope clamps. Trailer ties are approx 2 1/2 feet in length. Contact us if you need a different length- $14 each.